“God, grant me the serenity to accept the things I cannot change, the courage to change the things I can and the wisdom to know the difference…” excerpt from the SERENITY PRAYER. As I prayerfully reflect on the ministry of WINE, I am excited about opening an ongoing discusion about the “Brain Disease of Addiction.” As a prevention specialist I have used evidence based approaches to educate thousands of students, parents, public policy makers and the community about the latest science which shows that addiction is a PREVENTABLE brain disease. As a Catholic woman I openly share the intimate details of how I slipped into late life alcoholism and how the Eucharist, Jesus, delivered me from the darkness of a spiritual battle that nearly ended my life. As a single mom of five sons, two of whom are in recovery from drug addiction, I have experienced the pain of their crosses and the joy of their resurrections. My sisters in Christ wine is not the cause of addiction. The consistent and progressive abuse of wine can lead to addiction by hi-jacking the brain and suffocating the soul. It is an insidious dance with a force that preys on our human weaknesses, pillaging our minds, destroying our destiny and pummeling the power of the almighty God who never intended for us to suffer this cunning, baffling and powerful brain disease. Women are often susceptible to Satan’s trap because of underlying issues of trauma, abuse and other wounds which have eroded our self-confidence and our spiritual core. 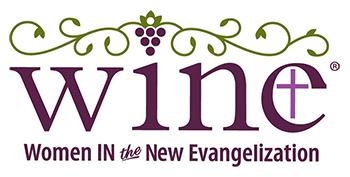 Through WINE we will engage in an open and honest discussion about addiction and the pressing issues facing women everywhere, as we consecrate ourselves to Jesus who is the true vine (John 15:1) and the nourishment we require to bear great fruit as we multiply our branches through the Women of the New Evangelization! 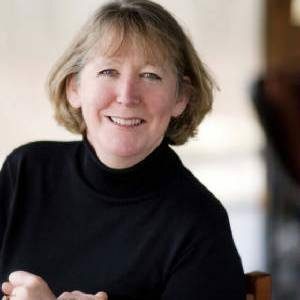 Mary Lou McCall has traveled the world reporting about the Catholic faith, even accompanying Pope John Paul II to Czechoslovakia, Poland, Cuba, Rome and beyond, but it took hitting rock bottom for Mary Lou McCall to discover her true beliefs. Today, Mary Lou is a prevention specialist, public speaker, and media expert at Action Against Addiction. As a licensed mental health professional, I work with clients who struggle with addictions (amongst other things.) I appreciate the concern some people would have with the use of WINE as the acronym for a women’s ministry. As a practicing Catholic, I also understand how wine, the reality and metaphor, is integral to our faith, in Scripture and at every Mass. I believe that the work of WINE: Women In the New Evangelization, and thus the name of the ministry, is divinely inspired. It has come about through prayer and reflection. In our current culture there are many who struggle with addictions of all sorts. Alcohol (and other addictions) often start as a solution to our pain and eventually can become the problem. Underneath it is still the pain and longing that the alcohol/addiction was supposed to solve. We have an enemy who seeks to destroy and who distorts that which is designed by God to be good. The only way forward from any type of addiction, pain, or trauma, is the truth. Jesus is the source of that truth and healing. We have to be willing to embrace our brokenness or addictions (the cross) before we can move forward. I believe that WINE is an opportunity for anyone struggling with alcohol addictions to be able to move away from the substitute to the true God who can heal and satisfy. I am encouraged to know that within the WINE ministries there will be a place for women who have been healed from addiction to embrace those who are struggling, to come alongside and walk with them into their healing. That is a wonderful place of evangelization and the name itself opens the door for dialog that might not otherwise happen. Secrets have to be brought to the light to be healed. Addictions are often the best kept secrets. Being able to talk about our struggles and being heard is what allows healing to happen. Katsey Long is a Licensed Clinical Social Worker in private practice in Jackson, WY, where she works with children, adults and families. Katsey did her undergraduate work at Louisiana State University in Baton Rouge, LA and her Master’s Degree work at the University of Denver. Since 1990 she has actively worked to integrate the theological and spiritual framework of her Catholic faith into her profession. 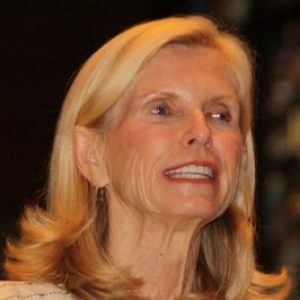 She is a member of the Association of Christian Therapists, and past President of the Jackson Council of Catholic Women.